All Thermal Oil Centrifugal pumps require maintenance after time in operation. When the time comes to fix or refurbish your current ALLWEILER® Pump, be sure to contact Shanley Pumps and Equipment, Inc.
Shanley Pump and Equipment carries a full line of *ALLWEILER® Thermal Oil NTT Centrifugal replacement pumps and parts such as NTT Series pump impellers, pump seals, pump bearings, pump shafts, pump gaskets and more even including full pump assemblies from our facility located outside Chicago, Il. From our vast inventory of *ALLWEILER® NTT replacement pumps and parts we can ship the parts you need to your location the same day to be sure that you are fully operational in a short time period. Let downtime be a thing of the past once you order your parts from Shanley Pump and Equipment. When you contact us, please have the NTT pump model, serial number and medium you are pumping ready to tell to the sales engineer. This will help us determine what was installed previously as well as offer your replacement and pumps and parts for your *ALLWEILER® centrifugal pump. We offer pump repair services for *Allweiler® Pumps. We have a complete workshop with skilled pump technicians with years of experience working on Allweiler® Centrifugal and Progressing Cavity Pumps. We are happy to inspect your pump and give you a repair price quotation. All our pump repairs are provided with a full warranty. If your ALLWEILER® NTT pump needs a full rebuild we can do that as well! Contact us today at 847-439-9200 for more information about our rebuilding and pump refurbishment services for *ALLWEILER® pumps. Shanley Pump and Equipment carries replacement parts for the *ALLWEILER® NTT Series of Thermal Oil pumps. If you are looking to repair your current NTT Pump, contact us today and ask for one of our factory trained engineers at 847-439-9200. Shanley Pump and Equipment Stocks a full line of replacement OEM *Allweiler® parts ready to ship the same day you order. 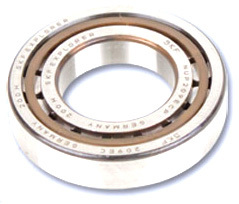 *ALLWEILER® Replacement Pump Bearings for all Allweiler® Pump Series including NTT Series pumps. Shanley Pump and Equipment Stocks a full line of replacement OEM *Allweiler® parts ready to ship the same day you order. 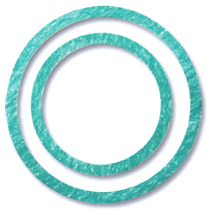 *ALLWEILER® Replacement Pump Gaskets for all Allweiler® Pump Series including NTT Series pumps. Shanley Pump and Equipment Stocks a full line of replacement OEM *ALLWEILER® parts ready to ship the same day you order. 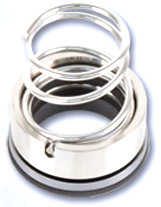 *Allweiler® Replacement Pump Seals for all Allweiler® Pump Series including NTT Series pumps. Shanley Pump and Equipment Stocks a full line of replacement OEM *Allweiler® parts ready to ship the same day you order. 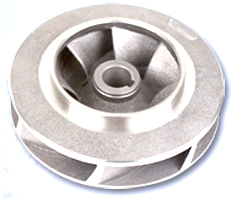 *ALLWEILER® Replacement Pump Impellers for all Allweiler® Pump Series including NTT Series pumps. Shanley Pump and Equipment Stocks a full line of replacement OEM *Allweiler® parts ready to ship the same day you order. 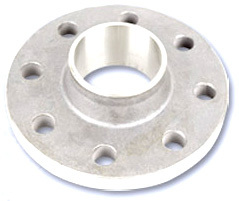 *ALLWEILER® Replacement Pump Flanges for all Allweiler® Pump Series including NTT Series pumps. Shanley Pump and Equipment Stocks a full line of replacement OEM *Allweiler® parts ready to ship the same day you order. *ALLWEILER® Replacement Pump Packings for all Allweiler® Pump Series including NTT Series pumps. Shanley Pump and Equipment Stocks a full line of replacement OEM *Allweiler® parts ready to ship the same day you order. ALLWEILER® Replacement Pump Shafts for all Allweiler® Pump Series including NTT Series pumps. Sometimes, a part replacement isn't enough. When this happens, Shanley pump and Equipment, Inc. carries a full line of Replacement *ALLWEILER® Pumps for all Series. Contact Us today for more information.